Fall break has arrived and with it I now have time to go fishing. Yesterday I kicked off the break with a trip to Little River to chase the browns. The water was up just enough to get the bugs hatching and the fish feeding. I was not as interested in hatches of BWOs and Yellow Quills though. 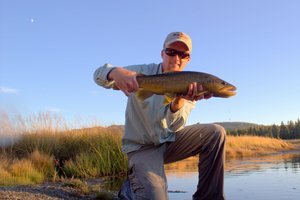 My main objective was big brown trout and with that in mind, I promised myself that I would give streamers a fair chance before changing my rig. The sun was just rising as I arrived and rigged up. 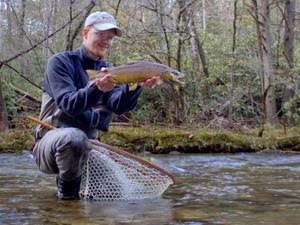 My first choice was a small streamer that has been effective on small stream smallmouth the last couple of years. After thoroughly working the first pool, I was just about to try another spot when I made one last cast. Immediately a little brown nailed it and the day was off and running. 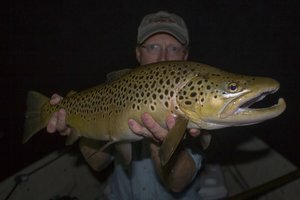 For the next few hours, I caught several browns up to around 12 inches. The big ones eluded me though and in fact, I never really spotted any true giants. 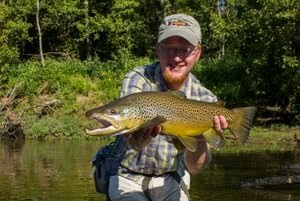 The largest fish I definitely saw was around 17-18 inches at most. 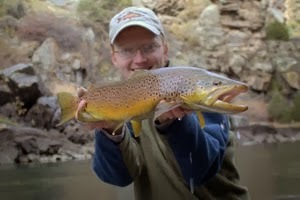 Sometimes it seems the river is devoid of large trout, and then you go another time and you spot big fish everywhere. That's just part of the game. Putting in your time on the water is the surest way to start finding these elusive fish and maybe even catching one. Despite the lack of big trout, it was still a perfect day to be out, and I took full advantage of the overcast skies and feeding trout. The rainbows were on the feed as well, and when I changed to a double nymph rig later in the day, my catch quickly diversified. A beautiful 12 inch rainbow came out of water where I was honestly expecting a large brown. I can't complain though because a twelve in rainbow in the Park is not too common. This time of year is my favorite, and not just for the fishing. The colors were awesome, and I took a few pictures to remind myself later of how beautiful the day was. Once winter arrives with its grey skies and dreary days, I will look back and remember these perfect fall days and the great fishing they provided.